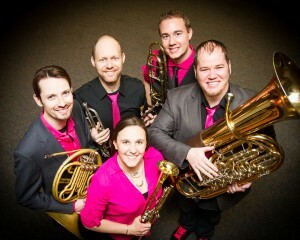 Copper Street Brass Quintet started in Albuquerque, New Mexico in 2007 and settled down in Minneapolis in 2008. Members are fresh on a new tour program called “The Evolution of the Brass Quintet” that has dazzled communities across the nation. Their arrangements of Mozart, Brubeck, and Adele provide a universal pleasure that puts audiences on their feet. Last season, the CBSQ performed over 165 educational concerts for greater than 8,000 students!